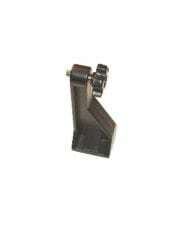 Specially-made for the Oberwerk wood tripod. 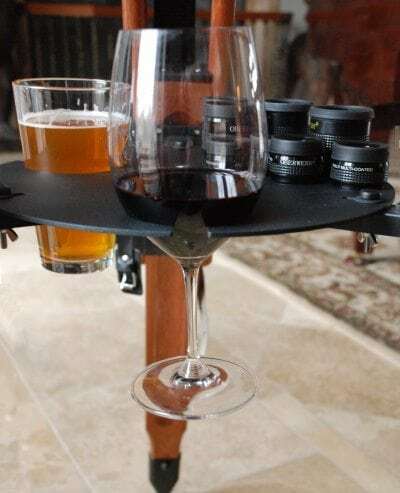 A necessity for binocular telescope owners, or anyone that needs a place to store up to two beverage glasses (2.75″ or larger)! 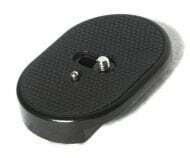 Very strong 1/8″ laser-cut powder-coated aluminum construction. 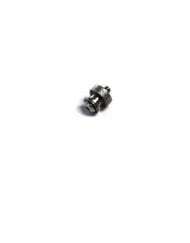 Attaches with a single thumbscrew (included). 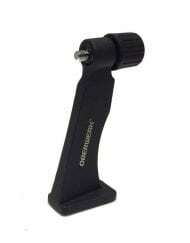 A most-useful accessory for anyone using the Oberwerk wood tripod with a binocular telescope. 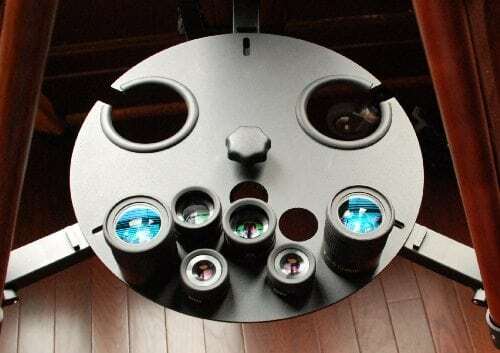 No more stuffing your extra eyepieces into your pockets- this new tray holds up to 4 pairs of 1.25″ eyepieces. Have you ever tried setting a glass of cabernet sauvignon on the lawn while you’re looking at Saturn? 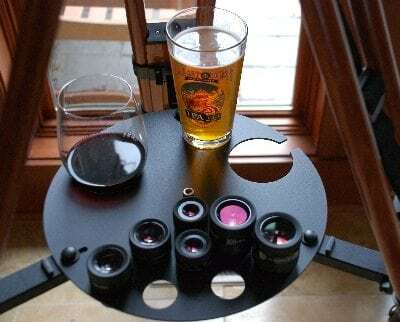 Well this tray also features two rubber-lined glass holders for your favorite beverages, so even if you don’t need to store eyepieces, this could be very handy! Any glass wider than 2.75″ can be used. Glass holders also have a cut-out to allow a wine stem to pass through. Made in the USA. 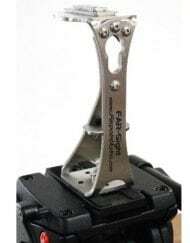 Constructed of 1/8″ thick aluminum, with holes cut by precision laser (all edges very smooth), then powder-coated in black to perfectly-match the tripod. 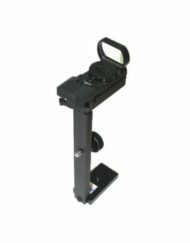 It secures to the tripod’s mid-level spreader with a single large thumbscrew, making it very easy to attach/remove. 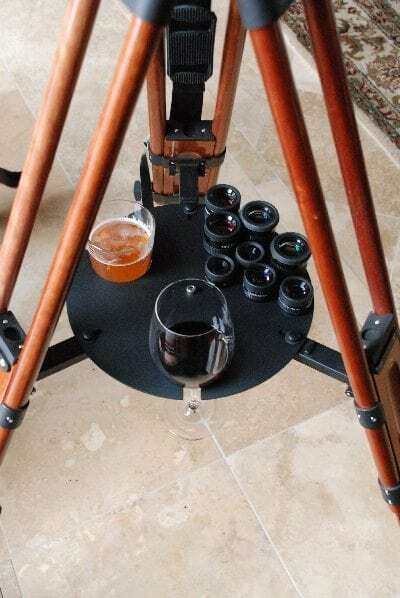 Just received the eyepiece/beverage tray for the Oberwerk tripod I purchased a couple months ago. just wanted to let you know that my wife loves it! it’s her favorite accessory now. we often drink wine while observing on my deck in the evenings and this accessory is perfectly designed for that activity! I also like that it has enough holes to hold 4 pairs of EP’s for my new 100mm binoscope. Thanks again for great service and great products!